We’re officially half way through the LNFS regular season, and Barça Lassa got there with a comfortable win over Gran Canaria. It wasn’t looking quite that way when Barça trailed 2-1 after 12 minutes, but they got over that setback to lead 5-2 at the break and go on to score goals with ease and win 9-2. Joselito provided four of them and Rivillos added two, with Adolfo, Lozano and Dyego scoring too. 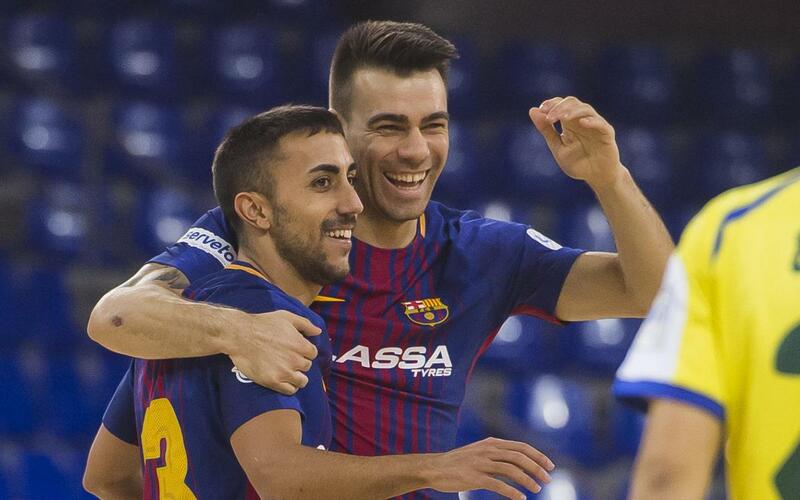 It means that Barça have reached the halfway stage with 37 points, two more than second placed ElPozo Murcia, but three adrift of leaders Movistar Inter.